For us, it is the greatest happiness, to live with them. We live in a little farmyard in our pretty Lausnitzer Heide, near Dresden. It is countrified and we're surrounded by fields and meadows. Our dogs occupy an important place in our family life. The dog pack of my husband and me is composed of 7 dogs at different ages. We have 6 Australian Shepherds and 1 Miniature Schnauzer. Since 2001, we have been members of the Bundesverband Rettungshunde e.V. (German Association of Rescue Dogs, BRH) and of ASCA since 2005. Since 2004 we have been working as instructors for the rescue dog teams in area searches and in debris searches of our regional squadron of rescue dogs. Potential dogs are trained to find missing people or people in potentially life-threatening situations by playing and feeding. It is important that the dogs enjoy the search and rescue work. Our regional squadron of rescue dogs is called out to take part in these operations about 15-30 times a year for emergency services. Injured joggers, mushroom pickers and other people in need. In all such cases emergency service often can and do save lives! 95% of our operations take place in forests, fields and meadows. A trained rescue dog could easily replace a search group of 30 to 60 people depending on the weather conditions. The dog's nose is capable of smelling a human at a distance of approximately 200 meters. About 5% of rescue missions take place in debris. In those missions most of the rescued people are children often found in abandoned industrial sites. Emergency service of rescue dogs is also called for searching missing persons after explosions in houses and house collapses due to fire. The debris search that a trained rescue dog can carry out with its nose is far superior to some technical methods or optimally supplements their use. A rescue dog is able to smell and reliably indicate in debris the position of a missing person who is buried up to 7 meters in depth. The dog can distinguish between a buried person who is still alive and a dead person due to their different smell. These abilities help the emergency team to apply appropriate means and time for the rescue of still living persons. 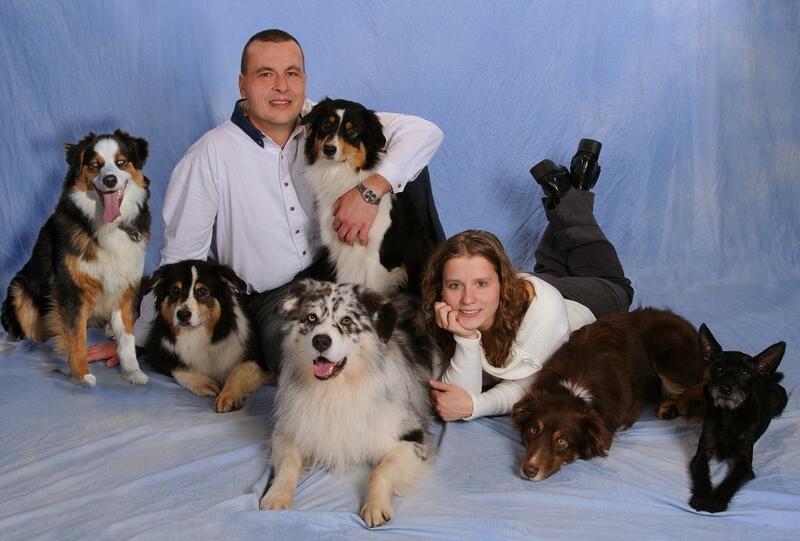 Since 2005 we have been breeding the FELLOWSCREEK Australian Shepherds. Many of the dogs resulting from our breeding are active as certified rescue dogs. We are very proud of them. The goal of our breeding is, to breed healthy, versatile and joyful working Aussies, which meet the criteria of the breeding standard and make wonderful family dogs. This is the type of dog that we want to breed. We love the easy trainability, work ethic and joy in everything the dogs do... On top we love their handsome appearance the typical working abilities and their strong "will to please". FELLOWSCREEK AUSSIES... BORN TO BE A ALLROUNDER!